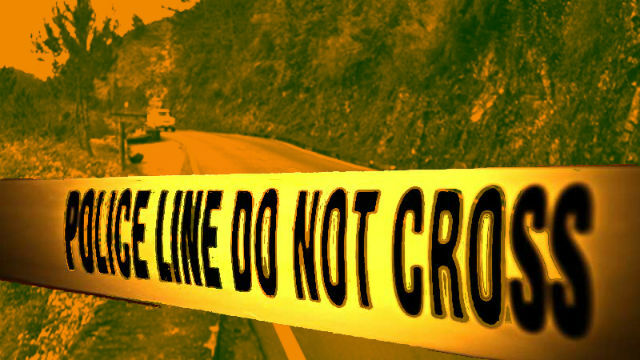 An unborn baby was killed and three individuals were hurt when a wayward vehicle caused a series of collision in Kibungan, Benguet. The incident transpired on October 27, 2018 at around 5:45 PM along the national road in front of the Municipal grounds, Poblacion, Kibungan, Benguet. Investigation disclosed that a Mitsubishi Pajero by William Gaspar Payangdo, 77, married, farmer, resident of Nalicob, Madaymen, Kibungan, Benguet is coming from the municipal grounds, suddenly lost control, accelerated towards itsate and hit a Bag-en Bulangen. The vehicle continued accelerating until it bumped another vehicle with two females identified as Mary Roselle Gamueda, who is pregnant, and Desiree Paulino, and caused a chain collision. As a result, the vehicle that was hit first moved and hit another vehicle driven by Romulo Calis Nabe, 41 years old of Sagpat, Kibungan, Benguet. The vehicle that was hit second also hit another vehicle driven by Dumlao Calixto Cam-oyao, 41 years old of Sagpat, Kibungan, Benguet. All three vehicles that were hit were parked along the road. The driver of the Pajero claimed that after maneuvering reverse, he shifted to first gear but the vehicle accelerated suddenly out of control. Paulino was rushed to the Baguio General Hospital in Baguio City while Gamueda and Bulangen were rushed to the Benguet General Hospital IN La Trinidad, Benguet. As of filing of this report, it was monitored that the baby of Gamueda died and is subject for immediate operation while Gamueda, herself, is in stable condition. Paulino suffered multiple wounds and a fractured right leg while Bulangen suffered fracture at his right foot. Both are in stable condition. Payangdo was brought to Kibungan Municipal Police Station for documentation and a case is being readied for filing.